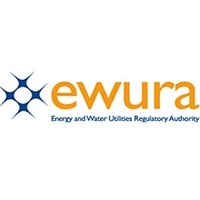 Overview: The Energy and Water Utilities Regulatory Authority (EWURA) is an independent, world-class regulatory authority responsible for licensing, tariff setting and quality of service regulation of the electricity, water, petroleum and natural gas sectors. EWURA has the following vacancies for which suitably qualified Tanzanians are invited to apply. Principal Legal Officer – Licensing will be responsible for coordination of day to day activities relating to regulated services licensing and provision of legal opinions. To coordinate interpretation of all regulatory’ legislation and other legal documents. To assist m representing the Authority in matters of litigation. To coordinate drafting and updating concessions, lease and license agreements in the regulated sectors. To coordinate the review and appeals procedure and enforce legal actions. To coordinate the implementation of law’s, regulations, rules, contract, agreements, and other legal instruments. To assist in conducting research on legislation and other legal aspects pertaining to regulated sectors and the role and functions of the Authority. To participate in drafting various legal instruments. To effectively supervise and guide members of staff reporting on the job. Possession of University degree in Laws (LL. B) from a recognized University. Possession of master’s degree in laws (LL.M) or any additional postgraduate qualifications in the field or others such as Business Administration. Must be an advocate of the High Court of Tanzania. Knowledge and Competence in Information and Communications Technology (ICT) application. Possession of at not less than six (6) years work experience in relevant fields. Knowledge and familiarity in Regulated Sectors will be an added advantage. Principal Commercial Officer will be responsible for a day to day monitoring of pertoleum products supply and prices. i) To provide assistance in the computation of petroleum products’ prices in accordance with authentic local and Cost Insurance and Freight (CIF) costs through monthly/regular monitoring of refined petroleum products’ prices at the world market level as well as collection and analysis of technical data from involved parties. ii) To review and analyse all reports submitted/prepared by the Senior Commercial Officer on the petroleum products supply status in the country, identify any issues and update the Commercial Manager accordingly. iii) On quarterly basis reconcile movement of all key petroleum products imported through BPS and submit the report to Commercial Manager Petroleum (CMP) for his/her review. iv) On quarterly basis compute Oil Marketing Companies (OMCs) market shares and share the report with CMP for further action. v) On monthly basis participate in the tender opening meeting at Petroleum Bulk Procurement Agency (PBPA) to witness the integrity of tender award to various winning suppliers. vi) To maintain an updated key contacts of suppliers/service providers and stakeholders in the downstream petroleum industry. vii)To review the performance and implementation of Bulk Procurement System (BPS) on monthly basis and provide findings to CMP for further discussion with PBPA. viii) To conduct various special audits related to petroleum products movements in the country as a way of identifying any inappropriate practice. ix) To closely work with Information and Communications Technology (ICT) in implementation and maintenance of the National Petroleum Information System (NPIS/NPGIS). x) To supervise computation and preparation of bills for EWURA levy on petroleum products imported and blended in the country. xi) Perform any other relevant duties as may be assigned by superiors from time to time. i) Possession of University Degree in Engineering majoring in (Petroleum, Chemical and Process, Mechanical), Petroleum Geoscience or Commerce from a recognized University. ii) Possession of master’s degree in engineering, MSc. Finance or master’s in business administration in Marketing or Finance. iii) Where the candidate is an Engineer, must be registered with Engineering Registration Board (ERB). iv) Knowledge and Competence in Information and Communications Technology (ICT) application especially in ICT data analysis. v) Possession of not less than six (6) years experience working in the petroleum industry. To coordinate the process of overseeing the effective and efficient application of provisions of the Water Supply and Sanitation Act in order to ensure technical aspects of water sector are in conformity with the provision of the Act and good industry’ practices. To carry’ out technical analyses of conditions of water and sanitation infrastructures and their utilization efficiency. To initiate and conduct the inspection of water supply and sanitation sendees. To participate in reviewing and advising on tariffs and prices of water and sanitation sendees. To initiate the review of water utilities’ business plans. To provide technical and commercial inputs towards resolving disputes between regulated sendee providers and consumers. To review technical and financial reports submitted by Water Utilities. The ideal candidate for this position should have the following qualifications and experience. Bachelor of Science degree m engineering (Environmental, Civil and Water Resources or Municipal and Industrial Sendees) from a recognized University. Possession of master’s degree qualifications in the relevant fields or others such as Business Administration or Finance will be an added advantage. Must be registered by the Engineers Registration Board as a Professional Engineer. Possession of at least five (5) years’ work experience in relevant fields. Willingness to work beyond the call of duty. A competitive salary will be offered to the right candidates for the posts. EWURA is an equal opportunity employer. Staff will be employed on permanent and pensionable terms. Application letter with Curriculum Vitae (CV) including e-mail address or daytime contact telephone number, together with photocopies of certificates and transcripts (certificates from Foreign Universities should be verified by The Tanzania Commission for Universities (TCU), Birth certificate, one passport size photo, and names and contacts of three referees should be addressed to reach the under-mentioned by 15 November 2018. 4th Floor, LAPF House Makole Road, P O Box 2857, DODOMA.